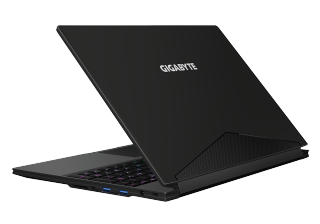 The best thin and light gaming laptop for most users is the Gigabyte Aero 15X. It’s light, thin, quiet, and portable, without sacrificing gaming performance—truly bridging the gap between a powerful gaming machine and a portable productivity workhorse. Gaming laptops have slimmed down considerably in recent years. Thanks in large part to Nvidia’s GTX 10-series of GPUs, which offer outstanding performance at a significantly lower TDP than previous generations. 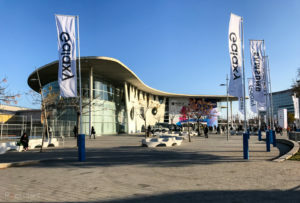 Nvidia’s Max-Q philosophy takes things a step even further. The idea is to hit a balance between performance and portability in order to make powerful gaming notebooks in a truly-portable form factor. And more than just thin-and-light, Max-Q notebooks are also quiet—and hopefully, not too hot. Max-Q GPUs aren’t quite as powerful as their desktop counterparts—usually by about 10 to 15 percent—but in exchange you get much lower temperatures, smaller form factors, and quieter fans. Sounds great, right? A small performance sacrifice in exchange for a laptop that rivals a MacBook Pro for portability. Of course, the main drawback is price. Max-Q is a premium feature and Nvidia is marketing it as such, meaning laptops bearing the specification cost several hundred dollars more than their slightly thicker non Max-Q brethren, often with less-complete feature sets. Most Max-Q laptops lack G-Sync, for example—another of Nvidia’s premium features that bears a several hundred dollar markup. At the end of the day, you have to decide what’s most important for you in a gaming laptop: portability, performance, or price? In general, you can only pick two. This guide will be focusing on the first two on that list—valuing portability over all else—with price taking the hit. If you’re looking for more affordable, less-portable options, check out our guide to the best gaming laptops for full-size laptop recommendations. The best Max-Q gaming laptop for most users is the Gigabyte Aero 15X-BK4. Featuring an Intel Core i7-7700HQ and Nvidia GTX 1070 Max-Q GPU, the Aero 15X is powerful enough to run most games at 1080p / 60fps or higher on ultra settings. It isn’t the cheapest of the 1070 Max-Q laptops I tested, but it outperformed its competition and did so in a slightly-smaller form-factor. Every Max-Q laptop I tested featured a 15.6-inch 1080p screen, though with varying features beyond that. What sets the Aero 15X apart, despite it only offering a refresh rate of 60Hz (whereas many of the competition offer 120Hz screens), is its form factor. We’ve already decided that portability is of the utmost importance in choosing a Max-Q laptop, and the Aero 15X succeeds most of all there thanks to a 5mm screen bezel that lets the whole laptop measure in at a width of 14 inches (the size of a 15-inch MacBook Pro), compared to 15 inches for all of the competition. This slight difference in overall chassis size means the Aero 15X is not just thin and light, but also fits easier in a normal-sized backpack. For daily use I carry a canvas snap-closing backpack not at all intentioned for toting a gaming laptop. That inch-difference meant the Aero 15X fit cozily inside my backpack, while its primary competition—MSI’s GS63VR Apache Pro, and Eurocom’s Q5—both poked their corners out a bit. If you care about portability above all else, the Aero 15X reigns supreme. But what about performance? The Aero 15X delivers in that regard as well. With a near-identical internal spec, the systems we tested produced similarly near-identical gaming and productivity benchmarks. Even so, the Aero 15X scored the highest marks (though by a narrow margin) in almost every one of our tests. The Max-Q variant of the GTX 1070 is powerful enough to maintain 1080p 60fps in most games at or near max settings. In rise of the Tomb Raider, for example, the Aero 15X scored an average of 94fps across the game’s three-part benchmark. In Overwatch, my framerate stayed well above 100fps using the ultra preset (but with dynamic reflections turned off). 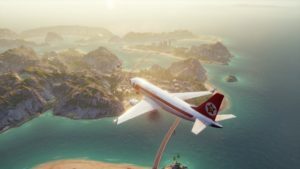 For the latest, most demanding games, like Total War: Warhammer II and Tom Clancy’s Ghost Recon: Wildlands, the Aero 15X pulls in numbers a bit shy of 60 fps at 1080p ultra, but you can easily get that number above 60 with a few tweaks to the settings. Here’s a comparison chart of the three systems, with the (non Max-Q) GTX 1070-powered Asus GL502VS—our overall pick for general best gaming laptop—as a reference point. As you can see, the Max-Q systems offer performance slightly lower than their non Max-Q counterparts, but not by much. And when comparing Max-Q systems against each other, the Aero 15X edges out the competition. Part of those higher scores, especially in the data transfer tests, is due to the Aero 15X’s improved storage spec—the base spec that we’re reviewing ships with a 512GB PCIe Gen3 x4 NVMe SSD with up to 3,200/1,700 MB/s Read/Write speeds—just shy of the speeds offered by the venerable Samsung 960 Pro (3,500/2,100 MB/s). This faster storage spec also accounts for some of the Aero 15X’s higher price tag—the cheaper MSI GS63VR Stealth Pro features only a 256GB M.2 SATA SSD. The Aero 15X is not without drawbacks. In addition to price, it also only offers a 60Hz screen, whereas MSI’s offering, as well as many non Max-Q systems, come at 120Hz. Additionally, none of the GTX 1070 Max-Q systems I tested offered G-Sync (though it is available on the more expensive GTX 1080 Max-Q systems).This was a bit of a hard pill to swallow, especially coming from a desktop setup where we recommend gaming at 144Hz or higher, ideally with G-Sync. But 60Hz is not the end of the world, especially since that marks a lower bar for the Max-Q GTX 1070 to hit in order to maintain a tear-less visual experience. In addition, the Aero 15X’s wide-view panel comes with X-Rite Pantone certification, making it one of the best looking of all the systems tested. However, the 5mm bezel on the screen means the webcam is relegated to below the display, similar to the Dell XPS 13. It’s not a great angle for streaming or even video conferencing, and the picture quality isn’t great either. The one other issue I found with the Aero 15X is its keyboard. The keys feel slightly stiff, and are slightly closer together than some chiclet keyboards—likely due to squeezing a full-size keyboard into the laptop’s 14-inch width. The stiffness of the keys felt a bit unnatural to type on at first, causing me to make more typing errors than usual, but it’s the kind of thing that one would get used to over time, such as making the switch from a membrane to mechanical keyboard, or from one type of key switch to another. Finally the Aero 15X has one more coup de grâce in this battle of portable performance: battery life. It features a 94Wh battery (compared to 51 and 60 Wh for MSI and Eurocom’s systems). In practice, this resulted in all-day battery life for working and internet browsing. As an added bonus, the Aero 15X’s power brick is lighter and more compact than most, and has a built-in USB port for charging other devices. 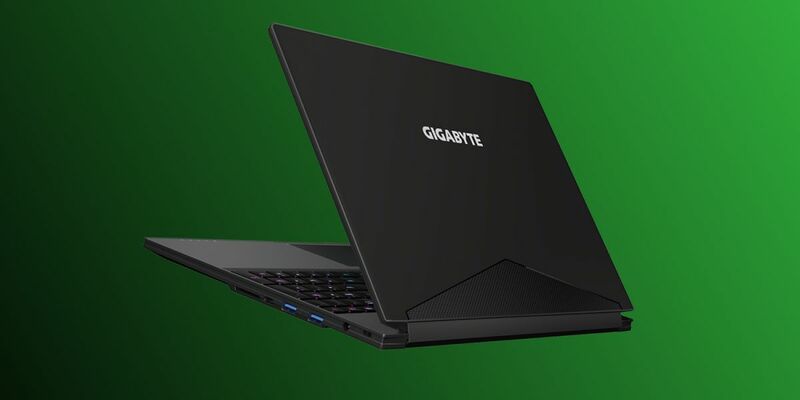 Despite the slightly higher cost, Gigabyte’s Aero 15X delivers the performance promised by Nvidia’s Max-Q philosophy in the most portable form factor. It’s smaller, lighter, and offers the best battery life. Max-Q systems are more expensive and slightly less powerful than their non Max-Q counterparts, but the sacrifice in that regard is more than made up for by portability. The Aero 15X takes that a step further, as its compact form factor more than makes up for any shortcomings. All in all, it’s a laptop that can play the latest games at or near max settings as well as truly function as a portable workstation—no matter if your workstation is a cubicle, office conference room, or couch.